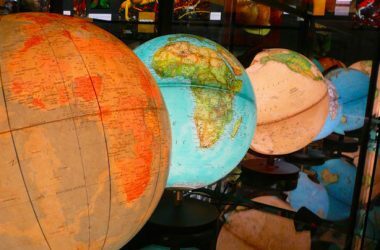 In mainstream financial circles, the concept of a global currency is often spoken of only with an air of caution. It is approached always in hypothetical terms. It is whispered of as some far off dream; a socio-economic moon landing in the far reaches of fiscal space. Perhaps in 2015, or 2020, or maybe 2050, but certainly never just over the horizon, or right around the corner posing as an innocuous trade asset created over 40 years ago and used only on rare occasions. Unfortunately, the development of a centralized global security representing the creation of a supranational economic body is much closer than many would care to admit? A global currency, or at least the foundation for one, already exists in the form of ?Special Drawing Rights? (SDR?s), created by the IMF in 1969 as paper collateral used to replace gold as the primary means of international trade between governments and central banks without the need for Forex exchanges. That is to say, the SDR was used as a tool for displacing the strength of gold. 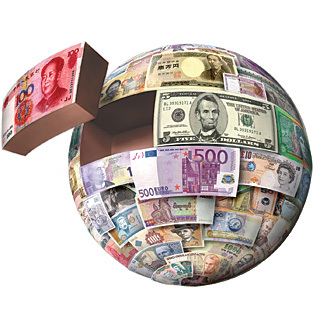 Today, the asset has morphed into a trade mechanism representing a basket of currencies, and, a tool to displace the U.S. dollar as the world reserve currency. Skeptics will argue that the SDR is a ?long way? from being ready to unseat the dollar, but, these economists and pundits rarely consider that the financial circumstances of markets today could quickly change tomorrow. Yes, by the standards of this very moment, a move to elevate the SDR to reserve status is impractical, mainly, because the dollar is still clinging to its relative value and widespread use. This will not be the case for much longer. Over the past month, the ?big three? ratings agencies; Moody?s, Fitch, and S&P, have suddenly decided to do the job they should have been doing years ago, and have begun a wild roller coaster ride of credit downgrades for countries with immense Debt-to-GDP ratios. Greece has been junked. Ireland has been junked. Portugal has been hit. Spain has been hit, and is ready for yet another downgrade. Italy is on the chopping block. Finally, even the U.S. is near losing its AAA status as S&P has announced it will decide within the next month whether a downgrade of our rating will soon be necessary. The bottom line is that if the ceiling is raised, the Fed is ready to print the dollar into an early grave. If the ceiling is frozen in place, America defaults on its debts and its credit rating evaporates. Either way, the dollar will inevitably lose its world reserve status. Enter the SDR? In 2004, the cost of paying into this program was around $5 Billion a year, but this has surely been expanded since. Finding accurate numbers on current U.S. loans through the hidden SDR Department program has proven difficult, to say the least? The point of all this? The SDR is being widely circulated under various operations, some of them public, some of them not so public. One important aspect of SDR conversion to take note of is that the currencies most highly valued on global forex markets, and the SDR table, are the Bahraini Dinar, and the Kuwaiti Dinar. The Bahraini Dinar is pegged directly to the SDR basket, while the Kuwaiti Dinar is pegged to ?an undisclosed basket of currencies? (probably the SDR). The dollar, on the other hand, is relatively weak in comparison when converting to SDR?s, even though most of the IMF?s funding, and thus ability to create SDR?s, comes from the U.S. Doesn?t seem fair, does it?? Another important fact to remember is that the IMF admittedly sets the valuation of the SDR using factors outside of natural supply and demand. 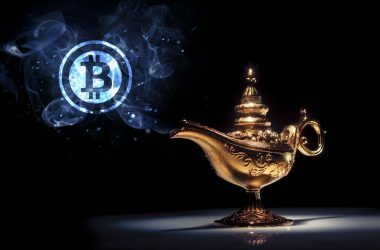 Meaning, they have the ability to place any value they please on the SDR versus other currencies. It is no surprise then that currencies which tie themselves to the IMF basket and placate IMF desires are rated strong in SDR?s, and perform well in forex markets, while the dollar, which remains (supposedly) independent, is weak versus SDR?s. Today, one dollar is worth 62 cents in SDR?s. 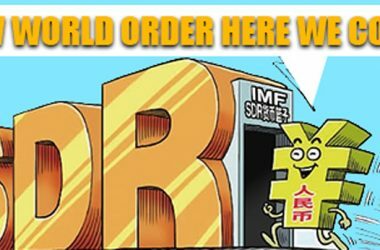 The IMF has openly suggested that the SDR could be used as an intermediary asset in volatile currency markets through what is sometimes referred to as a ?Substitution Account?. Meaning, if China, for example, wished to dump their holdings of U.S. dollars because they are devaluing rapidly, they could exchange those dollars for SDR?s instead of directly converting them into another standard currency, like Euros, or Yen. This, according to the IMF, would lessen the direct damage to the Dollar, because the SDR is partly denominated in dollars. Therefore, as China throws out dollars in exchange for SDR?s, the value of the American Greenback goes down, but conversely, the value of America?s SDR holdings will go up. This sounds like a brilliant strategy to offset sudden currency collapse. However, it is actually a very subversive way to slowly elevate the SDR as a world reserve currency itself, and to replace the dollar entirely, while the IMF plays the hero. It also allows the IMF to slowly ?harmonize? all the world?s currencies until there is no distinction in their value. The SDR becomes a de facto reserve unit without officially overthrowing the dollar. If the U.S. is faced with the nightmare of having its own currency dumped by international central banks, obviously, our Treasury would jump at the chance to support conversion to the SDR to lessen the damage, rather than face the full brunt of losing our reserve status. In fact, the U.S. would have NO CHOICE but to support the SDR and the IMF as the intermediary in all global financial transactions, otherwise, we would face certain long term full spectrum collapse. The only support holding up our financial system would then be our membership in the SDR basket. We would become completely dependent, and the IMF would have total centralized control over our economy. What the IMF has done is create a potential environment in which any country that does not participate in SDR exchange will be left in the dust by every country that does. They have conjured an artificial economic matrix, where traditional laws of supply and demand no longer apply. A kind of ?manipulated evolution? of finance. A chimera economy. They will have the power to determine the value of every currency on the planet arbitrarily using the SDR Substitution Account. Right now, it appears, the only thing holding the SDR back from its debut as a global currency asset is the inclusion of emerging markets into the IMF basket. Talk of China joining the basket in 2015 has been floating around for the past couple years. However, I believe that the inclusion of the Chinese Yuan may come much faster than this. One of the points of contention over Chinese inclusion in the SDR is its ties to the U.S. dollar and economy. That is to say, China would first have to decouple from the dollar, before coupling to the SDR. Its sounds like some weird parasitic experiment, and, it is. This cannot be done without a considerable dump of their forex reserves and treasury holdings, most of which are composed of U.S. dollars and securities. This means that in order to counter inflation, and to be included in the SDR, China will have to liquidate a large portion of its U.S. holdings. This would strike the American economy hard. All of the above factors are leading towards one obvious conclusion; the end of the dollar as a reserve currency. The IMF will never achieve its goal of complete centralized administration of the global economy without a common supranational currency unit. And, a supranational currency unit cannot exist while the dollar remains in its current position. Thus, for the IMF to succeed, the dollar must be removed. 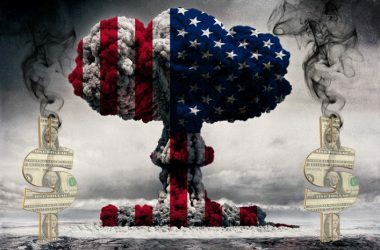 The expansive debt of the U.S., the endless fiat printing of the Federal Reserve, the Chinese adaptation away from the dollar and towards the SDR, and the quiet spread of the SDR itself, are all leading to this end. This does not mean, though, that the tangible version of the dollar will disappear. The interesting thing about the SDR con game is that many Americans may barely notice the transition of the global economy into IMF hands, because physical dollars will likely remain. We might feel the heartache of a devaluing monetary system, and an extremely weakened economy, but the flow of power will be obscured for a time from those who are unaware. In the end, all currencies will be tied to and completely reliant on the SDR, but our Greenback funny money will still be in our pockets. The issuance of an ?SDR note? may come one day (if we allow this farce to continue), but it is not necessary. As long as every currency is required to be pegged to the SDR, the IMF will retain control. A common assumption is that changes like these take place in some distant future we will never witness, not right under our noses while we sleep. The current evidence suggests, though, that an engineered transference to a highly condensed global economic system is underway right now, and that our country will suffer greatly in the process. To understand the tactically implemented disaster we are about to experience, it is vital to become aware of the intended end result. Just as in understanding any criminal act, it is vital to first understand a criminal?s ultimate motive.